I would have to say about 4 years ago I was in Borders with my one and only, Charlie. I was looking for something great to read at work on breaks and lunches. 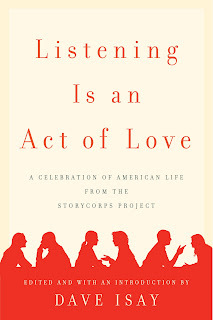 I came across this book called "Listening is an Act of Love". I didn't realize what I was getting myself into.. The moment I opened the book it was hard to stop. If you haven't heard about this book I will give you my own little ditty on it.. 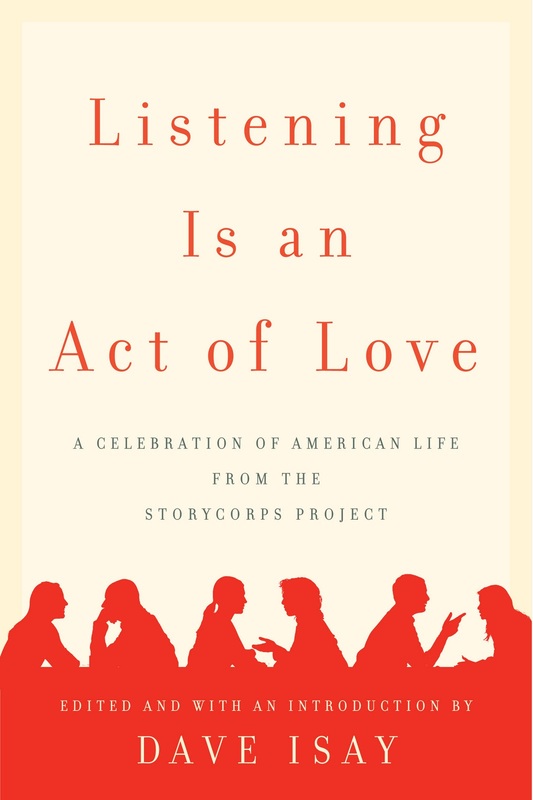 Throughout the US StoryCorps put booths up for regular, everyday people like you and I to go in and talk. For example you and your husband, or parent, sibling, best friend, etc could go in there and record conversations. The conversations could be derived from one of you asking the other a question. "Mom.. tell me how you and Dad met.." .. and then the story begins. They put these recordings into a book which day after day I enjoyed reading. It's beautiful, the whole idea of it is so wonderful. I think that's why I love blogging. I get to read others personal stories and take a little something from it. I recommend this book as it's pretty much tons of short stories in one so it's easy to read, as well my favorite part..... there's pictures at the end of each chapter. I would read the stories and picture the people in my head and then I loved seeing their picture after I was done reading. Then I would go back through and read it again now knowing what they look like. Listening is truly and act of loving. Keep your eyes and ears open around those you love!